The dying season begins each spring along the 2,000 mile stretch of the United States and Mexico border, but the term is not used in reference to the parched land or the animal carcasses that waste in the dry gulches and deep gullies littered with cans, bottles, clothing and syringes. Instead it applies to human beings: poor, desperate people in search of a dream. In many cases, the dream turns into a deadly nightmare because of men like Maxwell Collin Ridgeway III, kingpin of the largest smuggling organization in the United States. 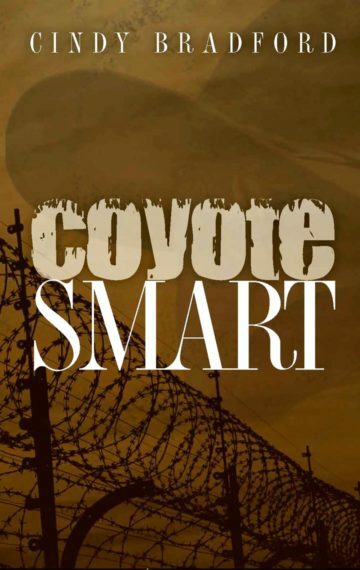 Ridgeway is COYOTE SMART, a fact that could be easy to miss by his humble beginnings as the son of an illegal alien. Turning against his own people, he is determined to be powerfully rich and inhumanly brutal, and he is successful at both —until he meets a young lawyer named Faith O’Brien England, who sees him as the most despicable, vile human being she has ever met. Their encounter may be brief, but what it brings changes his life …and eventually hers.